The College of Lake County’s Lakeshore Campus in Waukegan is providing more courses than ever, guaranteed course offerings, a wider selection of starting times and a stronger emphasis on helping students progress to graduation. It’s all part a of a new campaign known as the Lakeshore Commitment, a redoubling of efforts for students to have Lakeshore as their one-stop source for education. For more information, visit https://tinyurl.com/ycuodwvt. Subscription tickets are now on sale for the 22nd Professional Series season at the James Lumber Center for the Performing Arts (JLC) at the College of Lake County in Grayslake. The high-energy season offers something for everyone, from The Second City comedy to the awe-inspiring Golden Dragon Acrobats. For details, visit https://tinyurl.com/y7ygbbwt. 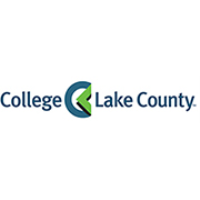 Careers ranging from nursing to real estate will be the focus of information sessions offered at the College of Lake County in August. Real Estate: Aug. 9 at 6:30 p.m., Rooms V336 to V340, Southlake Campus, 1120 S. Milwaukee Ave., Vernon Hills. Nursing: Aug. 14, 2 p.m., Room C216. Home Inspection: Aug. 21 at 6:30 p.m., Room T335. For updates, check regularly at www.clcillinois.edu/infosessions. Fall classes start Aug. 20, and for details visit www.clcillinois.edu/fall. Learn the skills needed to become a veterinary assistant or a pharmacy technician, through non-credit courses at the College of Lake County. Each course takes place in Room T323 at the Grayslake Campus, 19351 W. Washington St.
Veterinary Assistant: The course meets Tuesdays and Thursdays, 5-10 p.m., from Aug. 21 to Dec. 6. Pharmacy Technician: The course takes place Mondays and Wednesdays, 6-9 p.m., from Aug. 22 to Dec. 12. For costs and details on each program, call (847) 543-2990 or visit www.clcillinois.edu/professional and click the Veterinary Assistant or Pharmacy Technician links. Looking to sell antiques, crafts, organic foods, craft beers or other wares? Are you a musical or entertainment provider looking for a gig appealing to all age groups? Be a vendor at the Lake County Marketplace, which takes place from 10 a.m. to 6 p.m., Saturday, Sept. 8 at the College of Lake County’s Grayslake Campus in Parking Lot 1, 19351 W. Washington St. The event occurs in tandem with CLC’s Techs of Tomorrow Scholarship Car Show (see below). Both events are free to the public. Booth rental is $75 for a 10-by-10-foot space. To register, call (847) 543-2424 or email events@clcillinois.edu. Cool cars of various types will be on display at the College of Lake County on Saturday, Sept. 8 from 10 a.m. to 6 p.m. The public is invited to check them out at the Techs of Tomorrow Scholarship Car Show in Parking Lots 1 and 3 at the college, 19351 W. Washington St., Grayslake.